Imagine a scenario. You and the pastor disagree on one point. What are your options? Split the church and have a martyr-complex, obviously. Attack him. I am trying to let theonomists know that it’s okay to disagree with someone and let that disagreement be just that. What does “acting like a theonomist” in the church actually mean? No one has given a clear answer to that. People say, “Accepting the Word of God.” Yeah, that means nothing. Quakers claim they do that. I kept asking theonomists for clear, concrete details on what this actually looks like. I haven’t gotten any. Bahnsen was irenic. Bahnsen was a good churchman. Unlike another prominent Reconstructionist, Bahnsen didn’t sever himself from the church for 8 years and serve himself communion. That’s because Bahnsen knew that theonomy is theonomy *in* Christian ethics, not as. That means one can disagree on theonomy and the gospel, the Reformed, witness, and Confessionalism is not threatened. Bahnsen knew that. Will the Reformed world turn on the Klineans? When the Institutional Reformed wanted to beat up on Bahnsen (after he died, especially) and his students, they used Kline’s arguments. When this was happening I warned that Kline came very close to dispensationalism and that Bahnsen’s “TR Critics” didn’t really have a coherent response. I then predicted that they would have trouble applying God’s law today. Of course, I am no longer a theonomist, but I think I was right. Current sanctification debates bear this out. I will make another prediction: Mainstream Reformed will no longer find Kline useful. They will turn on him. Outside of pockets on the West Coast, Kline’s students views on Two Kingdoms and Republication will be outcasted. The irony is that I am somewhat sympathetic to Kline now. It’s a misleading statement since the only position that matters is the gospel, but since everyone thinks he is preaching the gospel, it’s time for specifics. 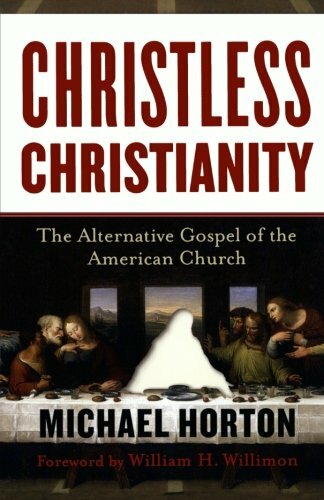 I’m finishing Horton’s Christless Christianity and while I don’t accuse theonomists of being Christless, I must say that when I was a theonomist, I spent more time sharpening my ethical debating skills than in learning what extra nos really meant. Who cares? When you get gospel as extra-nos announcement correct, and make that the focus of the church, political ethics will take care of themselves (or at least the focus will shift and you will regain your priorities). I find it humorous that the Reformed world is up in arms over the Tullian fracas and the Republication of the Covenant of Works debate. I pointed all of this out eight years ago and people laughed me off. Oh well, here are my thoughts, and this might surprise some, since I am closer to the “Westminster West” camp than I used to be. Republication of Covenant of Works: If all is being said is that the land promises are republished and typological, contingent upon the people’s obedience, then I don’t see what the problem is. That doesn’t deny a gracious element to the covenant. No one is saying people aren’t saved by grace alone. A legitimate difficulty with this position is what to do with the moral equity of the judicial laws. Fortunately, equity is a natural law category. If we are no longer under the CoW, and the CoW is typified in the judicial laws, then it seems the judicial laws, per this gloss, are no longer binding. The Westminster Confession doesn’t go that far, though. Tullian debate: I didn’t bother with this because I avoid anything to do with parachurch ministries and the Gospel Coalition. I will say this, echoing Dr Clark, faith alone is the instrument of sanctification. Keep in mind how the Reformed have always used causality and this isn’t a problem (and I think Tullian is much to blame in this controversy). Radical Two Kingdoms, so-called: 2 Kingdoms is the Reformed position. It is simply the common-sense observation that the king doesn’t meddle in the affairs of the church and vice-versa. The problem come when we try to come up with common-grace ethics and the like. Still, I’m tempted to side with Horton on this, at least practically. I’ve watched conservatives fail miserably at “reconstructing politics” for 20 years now, all the while sucker-punching the church on reforming worship. This is better than I thought it would be (and I’ve read 98% of these titles). I am surprised, really. The author admits that North’s critique of the Constitution is correct. That is a huge concession. Once you acknowledge that it was a Masonic Conspiracy, the rest of “Restoring America to the Constitution” flies out the window. I’m also glad that Failure of the American Baptist Culture is on there. It’s a bit too pro-church for many recons. 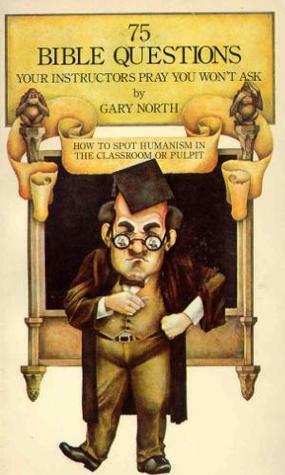 I’m also glad that he recommended North’s Baptized Patriarchalism. That may be the most important book for today’s recon. And while some of Sutton’s early movement (yeah, I know, the m-word) was wacky and bizarre, his books are fantastic and highly recommended. He should have stopped after page thirty, for then it would have been a magnificent pamphlet instead of a painful book. The opening section defending Reformed soteriology is probably the best in print. I am still waiting on Orthodox Bridge to do a review of it. The next section on God’s law is decent but the theonomy debate has moved on. The final section on eschatology is just bad. There are good varieties of postmiillennialism. Puritan and Covenanter Historicism, for one. This isn’t it. He offered no exegesis on the timing of the resurrection and the Bock/Blaising/Blomberg crowd have already won the debate. He didn’t even try to interact with the epeita…eta construction in 1 Corinthians 15. This is bad. Further, he cannot explain why men live longer in the millennium (though he is correct, contra amillennialism, that they will and these passages should be read literally). Further, he cannot locate a “link” between dominion and the return of Christ, which is brand of postmillennialism desperately needs (it makes sense after a few moments thought: if there is no link between our current obedience and dominion and the late-return of Christ, then we cannot define the texts as postmillennial. We can just as legitimately see an era like the Reformation as the “golden age” and expect an apostasy now.). Even more, he defaulted to the view that all premillennialists are of the Hal Lindsey variety. Tactics like these explain why Historic Premillennialism is the mainstream view among conservative evangelical scholars. In short, this book reaffirmed my premillennialism. The appendices alternated between insightful and sinful. His tactics of resistance are necessary against a humanist institution. I’ve used a few of them before. They are sinful against a Christian institution (even one as corrupt as a certain one in the American South; 1 Corinthians 6). This is particularly ironic since he (rightly) earlier says we should have Christian courts to adjudicate these matters. I stand by all my earlier criticisms of Reconstructionism. Still, when I study the doctrine of sanctification and the image of God (particularly the Shorter Catechism’s language!) I cannot help but see “dominion” as an inescapable concept. To make matters worse, if the Constitution is a compromise with Freemasonry, which I agree with Gary North and think it is, then why bother with the “Christianity and the Constitution” narrative? The shame, though, is that dominion got so associated with Reconstructionism that no one will speak of it today. But if you reject a metaphysical approach to salvation and sanctification, and opt rather (and rightly) for a covenantal approach, you are left with something like dominion. But don’t be alarmed. This doesn’t mean we have to go recon. It just means we need to be honest about the bible’s language. We’ve been renewed in the whole man after the image of Christ. We are priests and kings (Revelation). This is ruler language. We have the spirit of the Lord, which is freedom (2 Corinthians). If sin is ethical in content and not metaphysical, then salvation is ethical deliverance. Thus, dominion.